How do I explain the concept of Faith to anyone? Faith as well as your core beliefs is tough to explain. They guide your everyday doing and being as if you are on auto pilot. Of course they work best if at you have recognized what they are and what they mean to you topped off with a plan how to live by and how to sustain them. But how in the world to you explain this concept to someone else? 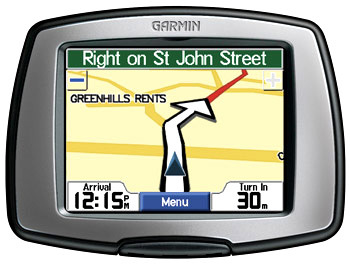 This works best with folks who have some familiarity with GPS systems. Faith is kind of your destination you put into your personal GPS system. The route you pick and the preferences you select are the equivalent of your core values and beliefs. Once you hit the “start navigation” function you can pretty much focus on the guiding voice and the turn by turn screen shots in order to get to your destination Faith. Do not believe me? Try remembering the last time you looked at your whole route prior to taking off. The vast majority of folks never do that. Instead, we just listen to the next instruction and do not worry what the next turn may be and when it may come up. That is exactly what Faith and your values and guiding principles is all about – we just know that we are doing what we are doing for the right reasons and thus need not worry about every little detail. We will make it to the final destination, period. No need to worry; not matter how little of a picture we see at any time. Like this post? Pass it on to a friend by using the e-mail function button below.